Converse's VP of footwear talks winterizing the Chuck II. It's a little known fact that Converse made boots way before they made the Chuck Taylor All-Star. Now, the brand is bringing both together. Converse is dropping a winterized collection Chuck 2s that are suited for the worst type of weather. Designed over 18 months, the Counter Climate Boots Collection has features pulled from traditional boot making such as a gusseted tongue and neoprene insulation. "We wanted to style so it was a little bit more modern, but had that feeling of old and new," said Bryan Cioffi, Converse VP of Footwear. There are two styles in the collection. 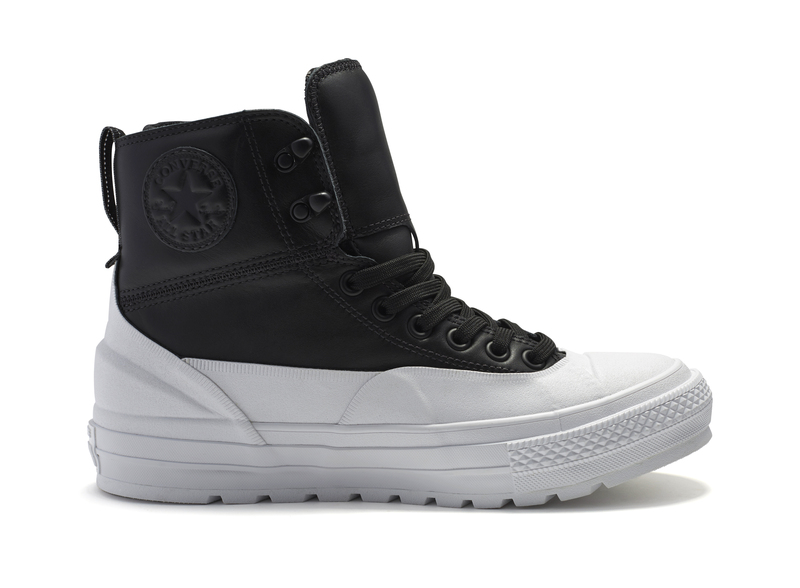 The Converse Chuck 2 boot thats silhouette is more of a direct version of its sneaker counterpart, except with a a waterproof neoprene bootie and modified Chuck Taylor outsole for grip and traction. 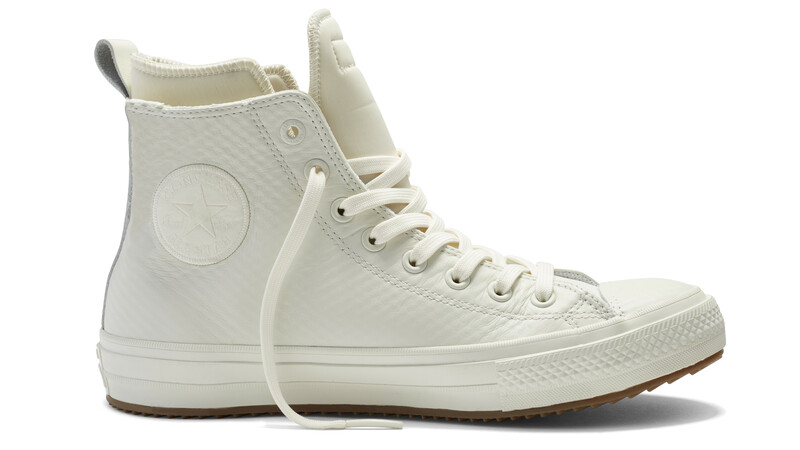 The other is the Converse Chuck All-Star Tekoa Boot, which is less of a sneaker interpretation. Both feature a water-repellant outer shell. Converse's VP of footwear says trying to make the Chuck 2 waterproof was a labor-intensive undertaking. "With the upper, there’s a bonded leather and air mesh that our materials team really did some deep innovation work on," Cioffi said. "Much of the design work was around the bootie and the outsole. Overall it was about a two year process." The collection launches this week at Converse.com and select retailers. 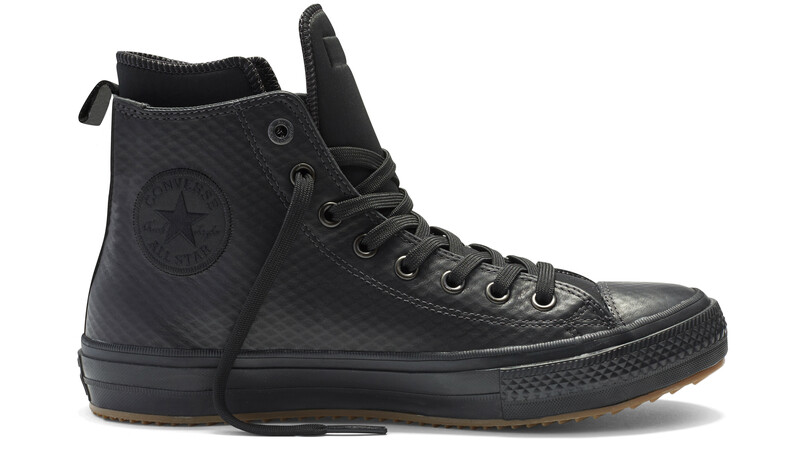 Retail price for the Chuck 2 boot is $130.